The Young Growers Club in Poland continues to grow in support of the next generation of turkey growers. 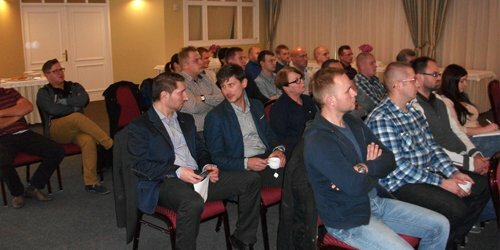 We held a meeting in Kętrzyn, Poland from18-19 October, 2016. The meetings are hosted by Hybrid Turkeys and Grelavi; however the agendas are driven by the members. The focus of this meeting was about fostering a deeper connection between industry experts and the group. Grelavi representatives from production and quality level positions were introduced in order to give the group access to experts in these areas. In addition the members visited a hatchery and a laying farm followed by discussion surrounding quality, welfare, and biosecurity.